﻿ Hopefield Country House Kirkwood. JIMAT di Agoda.com! Ada soalan mengenai Hopefield Country House? Jika apa yang anda cari adalah hotel dengan lokasi menyenangkan di Addo, cuma perlu lihat Hopefield Country House. Dengan lokasi hanya 65.0 km dari pusat bandar dan 60.2 km dari lapangan terbang, hotel 4-bintang ini menarik banyak pelancong pada setiap tahun. Persekitaran yang terjaga dan kedudukan berhampiran dengan Addo Wildlife Sanctuary, Taman Organik Rosedale, Pusat Reptilia & Haiwan Liar Lembah Addo memberi hotel ini daya tarikan istimewa. Ambil kesempatan daripada pelbagai perkhidmatan dan kemudahan yang tiada tandingan di hotel Addo ini. Hotel ini menawarkan pelbagai kemudahan di lokasi untuk memuaskan hati tetamu termasuk yang arif. Hopefield Country House mengandungi 7 bilik yang dihias indah dan menawarkan tuala, televisyen skrin rata, linen, internet wayarles, bilik larangan merokok. Hotel ini menyediakan kemudahan rekreasi yang baik seperti kolam renang terbuka, taman untuk membuat penginapan anda benar-benar tidak dapat dilupakan. Kemudahan yang hebat dan lokasi yang sangat baik membuatkan Hopefield Country House menjadi asas yang sempurna untuk menikmati penginapan anda di Addo. We enjoyed every minute in Hopefield. From the moment we arrived we felt welcome. The House 'Old Lady' requires a lot of attention from the owners and they look after her very well. The cuisine was excellent. Breakfast was elegantly served as was dinner. For dinner there was a choice between meat and a vegetarian, but the standard was so high that we did not need a choice. Looking forward to returning!. A lovely stay at Hopefield -we had a first floor room with a nice balcony to sit out on. -The gardens are really lovely with a nice little pool to cool off in! We dined with Hopefield the first night and the food was good, it was also nice to sit out before going into dinner by the fire pit on the terrace. Helpful staff who were able to help us book a safari trip which was a real highlight. Some of the rooms need upgrading and a little more thought put into the placing of plugs with regard to mirrors, our shower was great but our friends was terrible and the whole bathroom really needed upgrading the pool is very dirty and the sunbeds over run with ants. The outside in general unlike the gardens which were beautiful needed a good clean.On the plus side the breakfast was good and staff friendly. We had a lovely time staying at Hopefield. The staff was friendly and very attentive. The breakfast was amazing and they have a wonderful choice of wines there to be enjoyed by the fire at night. The pool also was fantastic the only thing not too great was the location. It is a it outside of town but with a car you'll be able to get to Addo in 15 min. We did it have dinner at hopefield because it was too expensive for our budget but it sounded amazing. Nice garden. Close to Addo. Although close to Addo park, general amenities were poor. Regrettably the room had a bad odour from the septic tank and smelt musty. The fridge did not work. Hosts were not friendly. Wouldn't recommend. service / staff, food and decor. 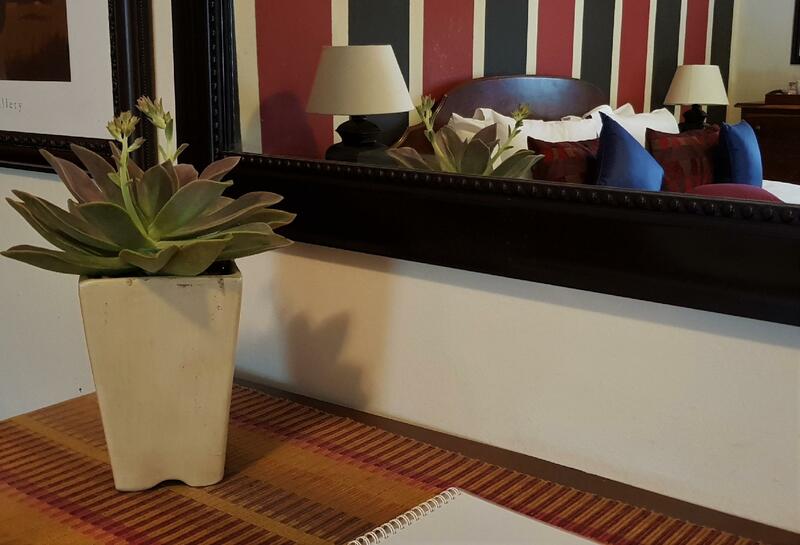 Situated a short distance from Addo Elephant Park and in amongst the most beautiful and peaceful surroundings, Hopefield is the perfect base for everything that Addo and the nearby national park has to offer. We were warmly welcomed and shown around the spacious and beautiful grounds. The well laid out and thoughtfully designed surroundings complimented the authentic guesthouse. It had a history of its own and was full of tasteful artefacts, furniture, photographs etc. An open fire, atmospheric music, friendly and well trained staff all made the stay a special experience. It felt very homely indeed. The rooms were presented tastefully, with real attention to detail with authentic pieces being effortlessly mixed with contemporary decor. 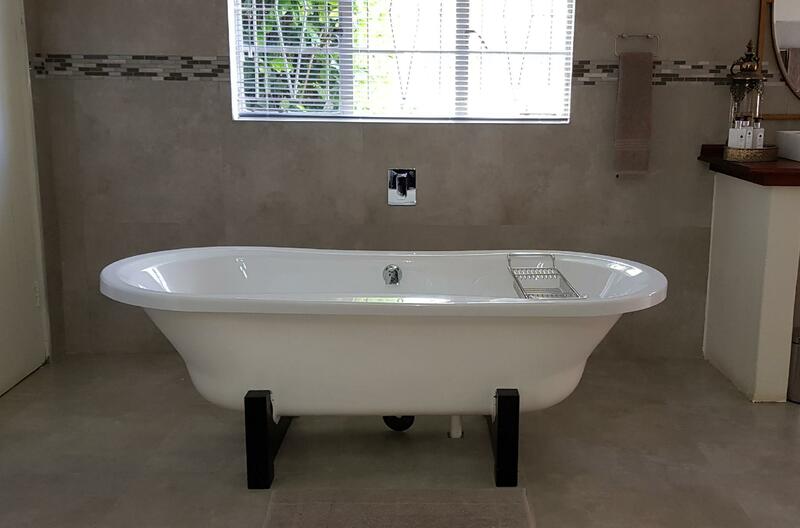 Our only comment would be the wet and slippery floor after using the shower. A delicious and beautifully presented breakfast with real homemade products made a perfect start to the day. Just a shame we weren't staying longer. Thank you for a special experience Gerhard, Kobus and staff. Highly recommended. Veryl lovely property, with clean comfortable beds. Great restaurant for dinner. The hosts are wonderful, and the staff is excellent. We had a wonderful time just relaxing on this beautiful property. 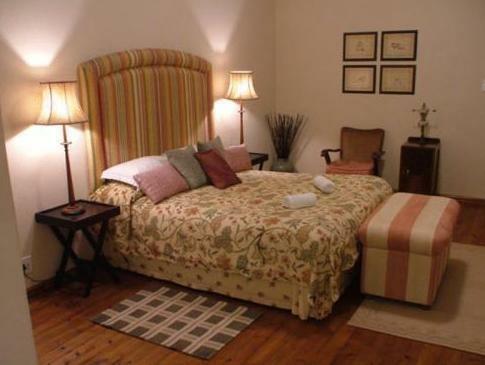 Hopefield country house is located near the Addo National Park. The location is great, so are the rooms and the property. Breakfast is excellant and dinners are absolutely recommendable. Very good kitchen and service ! 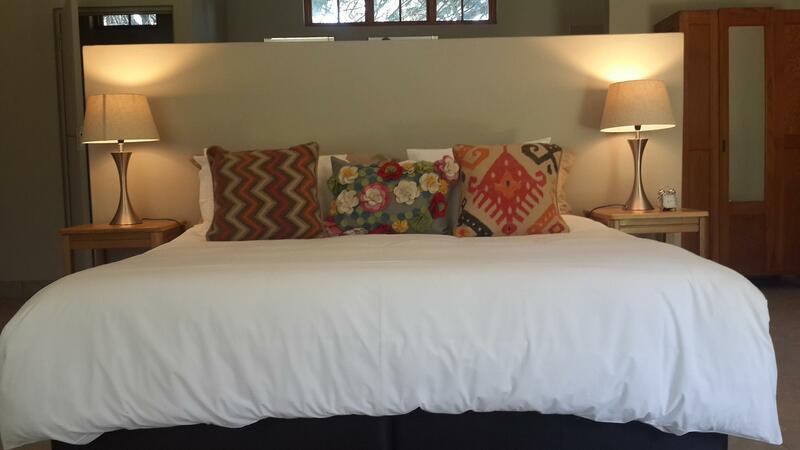 Hopefield Country House is a clear recommendation. Hosts were really Heilpflanze and the accomodation is comfortable and the love to details can be seen within the room. Especially to mention is the delicious dinner menu which is changing daily. Had a wonderful stay at Hopefield Country House. It was very close to Addo Elephant Park and the rooms were very nice. Happy with our stay. Beim Einchecken gab es ein kleines Problem: Man hatte Man hatte die Anmeldeformulare vertauscht, so dass wir beinah ein kleineres Zimmer statt des gebuchten bekommen hätten. Das wurde aber sehr elegant und schnell gelöst. Wir hatten ein Zimmer in einem der stilvoll eingerichteten Bungalows. Nur die hineingebaute Toilette war sehr hellhörig. Die Anlage mit großem Garten ist wunderschön gestaltet und lädt zum Verweilen ein. Leider war es Ende September ziemlich kühl, so dass wir abends nicht draußen sitzen konnten. Dafür duftete es in dieser Jahreszeit herrlich nach den blühenden Orangenbäumen. Bis zum Addo sind es nur ca. 10 Minuten Autofahrt. Das Abendessen war sehr lecker, fand für uns aber sehr spät statt: Ab 19:30 Uhr begann es erst, so dass das 3-Gänge-Menü erst spät beendet war. Für mich eindeutig zu spät, denn ich kann abends nicht so viel essen. Wunderschöne lodge in orangenplantagen. Man fühlt sich wie im Film. Sensationelles Dinner- sternewürdig! Ein unvergessliches Erlebnis! Personal superfreundlich! Schön im Grünen gelegen. Die Außenanlage hat uns gut gefallen. Das Zimmer selbst war groß, jedoch schon deutlich in die Jahre gekommen. Dies hat man leider auch gerochen. Auch der Strom lief nicht sonderlich stabil. An einem Abend gab es einen längeren Stromausfall, was jedoch auch auf die Gegend zurückzuführen ist... Das Personal war sehr bemüht und immer freundlich. Auch die abendlichen Lagerfeuer haben uns gut gefallen. Besonders freundliches und aufmerksames Personal machte uns den Aufenthalt angenehm. Außerdem fiel uns das Hopefield durch seine feine Küche und gutes Preis-Leistungsverhältnis auf. Die Organisation unserer Addosafari war einfach perfekt. Sehr empfehlenswert! Tolle Unterkunft, wenn man den Addo-Elephant-Park besuchen möchte. Ein großes gepflegtes Anwesen mit sehr freundlichen Mitarbeitern. Die Zimmer waren im Kolonialstil eingerichtet. Die Speisen, vor allem das Abendessen, waren überragend.